« Epitomising Art Deco Chic. Ed rewrites The Dome website. 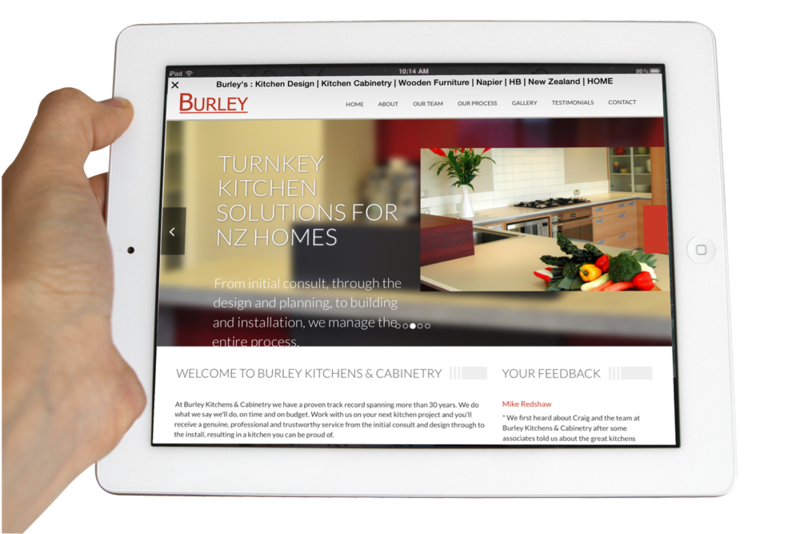 Another example of Ed working with local techies WebFox was with the Burley Kitchens & Cabinetry website development. As with many other WebFox website projects Ed’s worked on, the task was to assess the design templates and meet with the client to understand their business and how a website will help meet their goals and objectives, before creating a well-structured site-map, then writing optimised copy for approval and loading. This was a new development as Burley Kitchens & Cabinetry didn’t have an existing website. Nor did they have any collateral in the way of printed material such as brochures or a company profile. Therefore, it became Ed’s job to extract the nuts and bolts (pun intended) of Burley Kitchens & Cabinetry in order to translate their physical offerings into the digital environment. After meeting with the client and getting to know their business, Ed developed a site-map to accurately convey their key messages. From 30 years of success in the kitchen and cabinetry industry, it became clear their target audiences were mostly interested in finding out about Burley’s history, staff, process, work-to-date and testimonial anecdotes. Of particular importance was outlining the path taken on any given project, a simple yet systematic five-step process to take a kitchen or joinery project from idea to reality. 1. Getting Started – The initial consultation to discuss what the client wants and what Burley can bring to the table. From there a plan is put in place incorporating all the details along with a visual concept and contract for approval. 2. Measuring Up – A visit to the site (home or business) to take measurements and generally scope out the final details before firming up the timeline for production. 3. The Build – The kitchen or joinery project is built at Burley’s factory. At any time the client is welcome to visit and inspect progress, and make changes if necessary. 4. Bells & Whistles – Once the build is complete, the bells and whistles phase kicks in such as bench-top finishing, painting, applying knobs and knockers and other fine detailings. 5. The Install – The final phase is when Burley deliver the kitchen or joinery project and install it. Burley staff will coordinate with other tradespeople like electricians and plumbers to make sure everything goes smoothly. 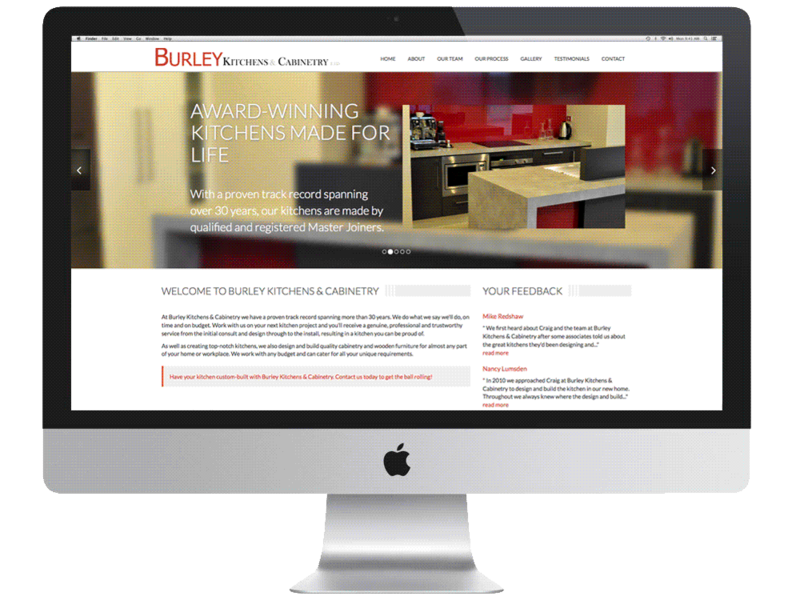 Burley Kitchens & Cabinetry’s new website has worked exceedingly well for them. They’re busier than they’ve ever been in over 30 years of business, are taking on new staff and are simply doing what they do best now with the added benefit of an online presence. Working with WebFox is always a pleasure for Ed. And writing the copy for the Burley website was no exception. Look out for more Ed-WebFox projects to be profiled in the near future and don’t forget to give Burley Kitchens & Cabinetry a buzz next time you need a kitchen designed and built, or a joinery project carried out.